If you're interested in learning how to create fantasy art, this book might be for you. To quote from the back cover, it "demonstrates how to draw and paint every possible subject in this exciting genre with both traditional and digital media". Yes it does but unfortunately because of the variety of subjects covered, not all are in depth. For example, it will be best to pick up a book dedicated to anatomy figure drawing. The chapter in this book teaches drawing techniques just enough to get by. Same goes with other chapters. 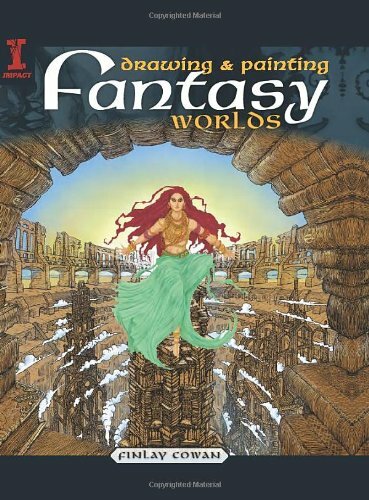 The book however provides lots of ideas and examples on fantasy art. Things like researching, symbolism of characters and archetype, creating costumes and things like that. There are a few step-by-step workflow process tutorials. I've mixed feelings about the book because of the lack of depth in certain areas. It's worth looking through but to really hone your techniques, you might have to get other books. Other fantasy art technique books that I recommend are 100 Ways to Create Fantasy Figures and Fantasy Workshop: Mastering Digital Painting Techniques.